If you like games of chance, you'll love Ten Thousand. It's a great game for the whole family and the rules are fairly simple. But since it can take many rolls to finish a game, it can take a while to play. The game of Ten Thousand is for any number of people and uses six dice. You can play the standard game or choose alternative rules. In the standard game, each player throws the dice, in turn. After the first roll, the player must remove one of the dice that was in a scoring combination. He continues to do this until he rolls a no-score or elects to stop and record his score. Points are scored as follows: One equals 100 points Five equals 50 points Three ones equal 1,000 points Three of any other number equals its face value times 100. For example, roll three twos and score 200 points, roll three fours and score 400 points. A run of one through six equals 3,000 points. Three pairs equals 1,000 points, which includes four of a kind plus a pair. The player keeps rolling the remaining dice and setting aside one die from each scoring combination. He must score each throw separately; for example, he can't use a three from his first roll and two threes from his second roll to make three of a kind. He keeps track of his points, adding each roll to the total, and he announces his score after every throw. He keeps playing until he has a zero throw and gets no score for the whole turn, or decides to stop. If a player has removed all six of his dice because they scored, he throws all six again and keeps scoring. The player who accumulates 10,000 points first is the winner. But if other players haven't yet finished their turns, they continue to play. If one of them scores higher than 10,000 points, she is the winner. No player may record his score until he earns 500 points in a turn. When a player throws and gets no score on the first roll for three successive turns, he is penalized 1000 points. One player may take the dice from another's zero throw, for which he lost all the points for his entire turn, and roll them. If the second player scores, he also takes the points from the first player's whole turn. 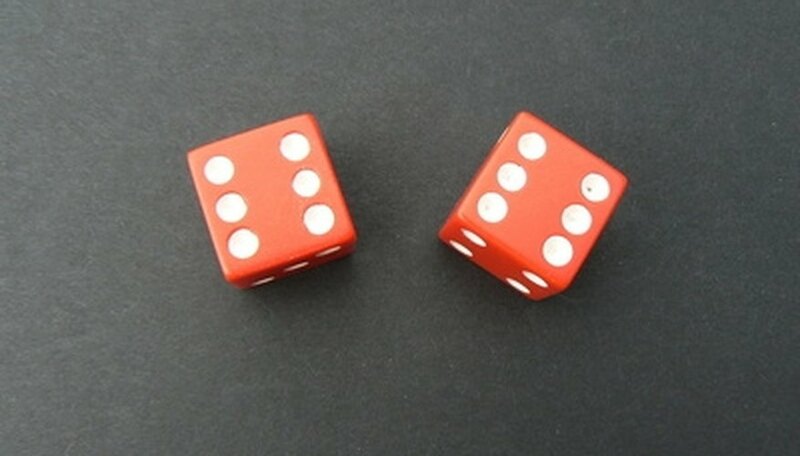 When five dice have already been removed after scoring, the player can roll the sixth one twice, with the objective of scoring a one or a five. If he succeeds, he wins 500 points and is permitted to keep playing with all six dice. The bonus points increase by 500 each time a player successfully rolls the last die this way. If a player rolls four or more twos, his entire score is wiped out. When a player rolls six of a kind on one throw, he wins the game. The winning score is 5,000 rather than 10,000.